From his spaghetti blonde highlights to his signature short cut, Cristiano Ronaldo's many hairstyles have been copied by fans across the world. 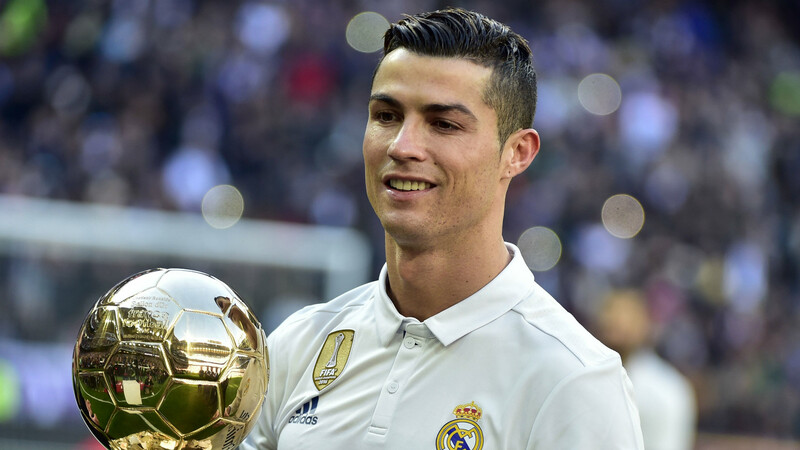 Much like another former Manchester United No.7 who went on to join Real Madrid, the Portugal star has become a worldwide celebrity for his fashion and personal grooming as well as his football skills. Having now spent a decade and a half in professional football, Goal runs through the most memorable Ronaldo haircuts we have seen over the years. This has been Ronaldo's go-to look for several years now. There are minor variations of it - the image at the top of this article, for example, shows how Ronaldo will sometimes part his hair more distinctly - but the fundamentals are always the same. Short on the sides, longer on top and swept back and across from left to right, usually with some kind of wet-look product to add shine. This one is much the same in terms of shape and length as the classic cut, but with some blonde highlights infused. 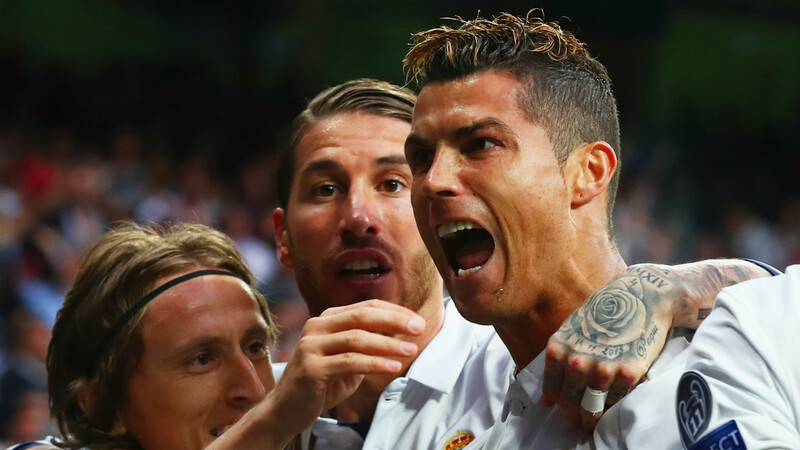 Ronaldo was well-known for those highlights during his time at Manchester United and brought them back for the tail-end of the 2016-17 season as Real Madrid swept all before them. He adopted a messier, curlier look on top here to accentuate the colour contrast. Ronaldo surprised everyone earlier this summer by shaving most of his hair off following Real Madrid's Champions League win over Juventus. He did it himself, in actual fact - apparently as some kind of bet. "It was a promise," he told Real Madrid TV. "I'd promised that if we won the Champions League and I scored a goal, I'd do it. I did it and I shaved myself." There's not much to explain with this one, though once the top had grown out a bit Ronaldo had a curved line shaved down the parting again. We haven't seen this for a while, but previously Ronaldo has let his hair grow out a little and adopted a spikier look. With this style he uses product to push his hair up instead of across his head, splitting it into three sections. He also had longer sideburns than normal, though they were still thin. 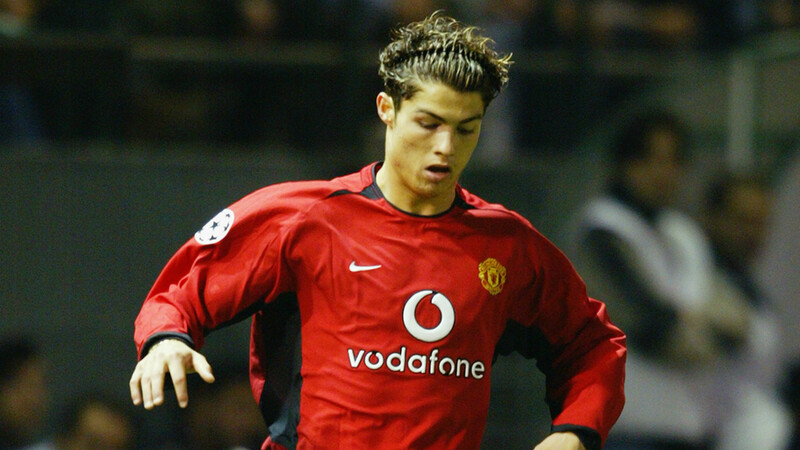 Ronaldo's hair is usually pretty neat and tidy these days, but during his Manchester United years he was more experimental. His hair got so long and wavy at one point that he simply slid an Alice band into it to hold it in place. Don't hold your breath on seeing this one make a comeback any time soon. This looks pretty normal on top... but what's going on at the back?! Ronaldo strayed into mullet territory for a period around the World Cup in 2006, letting the rear end of his mop fall on to the back of his neck. Again, we wouldn't expect to see this one make a return in the near future. 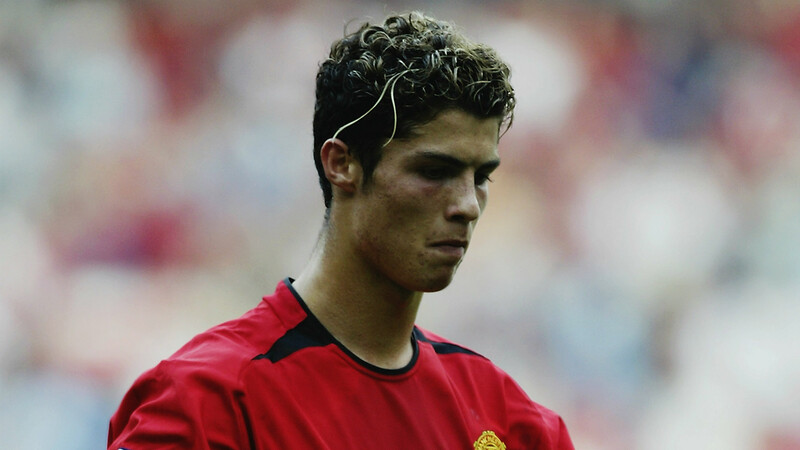 Before he tried on a couple of questionable alternatives, though, Ronaldo arrived in England with the iconic 'spaghetti' blonde highlights. The young Cristiano grew his hair to medium length, left it curly and had some blonde dyed into the top - nothing too unusual there. But the standout feature of this style was the two or three strands of longer blonde hair that fell down his face, which were compared to spaghetti. This was mimicked by kids who quickly came to idolise Ronaldo all over the UK and probably resulted in more than of a few of them being sent home from school to wash it out.